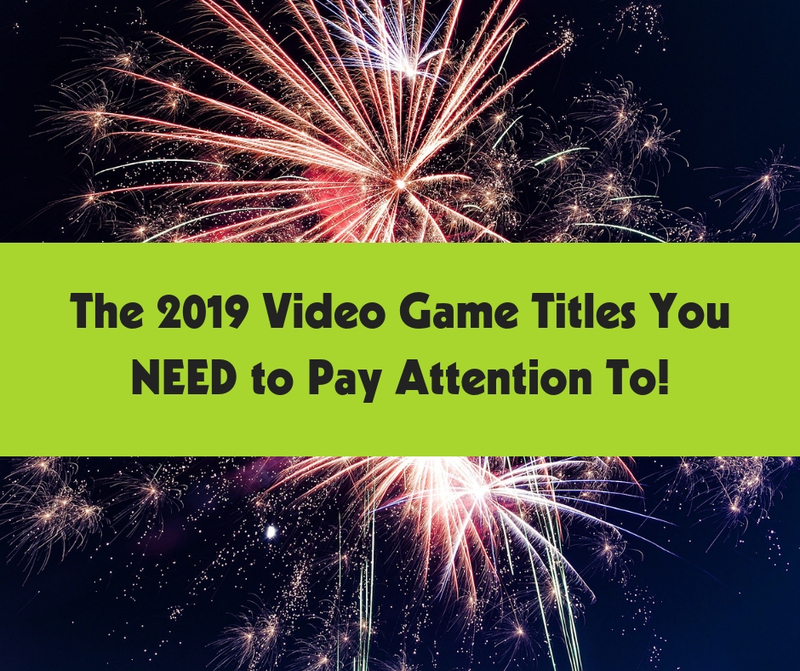 The 2019 Video Game Titles You NEED to Pay Attention To! With the end of 2018 and all of 2019 ahead of us filled with opportunity, it’s time to start thinking about the best video games that are to come! Even if you’re still catching up on the best games of 2018, it’s never too early to start thinking about what lies ahead! We decided to compile a list of just a few upcoming titles that we’re the most excited to play all year long! A spinoff of No More Heroes 3, this game has seven different game titles including an action game, racing, puzzles, and more. Beware of the vicious boss who awaits you at the end of each game in this action-packed adventure! Love Final Fantasy? Love Disney? Well, then this epic mashup was made just for you! This critically acclaimed game series has won the hearts of many… and since it’s been 13 years since the release of Kingdom Hearts 2, the fan base is eager to finally continue the story from where it left off. Kingdom Hearts 3 expands upon the universe set up by the first two games and follows the main characters as they grow older and face hardships time and time again. Sora, we’re with you! Set in a dystopian future… Crackdown is an open-world experience that lets you take on crime, corruption, and drug lords. Fight for the sake of good and once again take on the role of The Agency as you fight against a rogue terrorist organization that’s jeopardizing the safety of New Providence. This surreal video game puts you in the shoes of Nero, the main character who is a demon hunter! Nero’s robot arm and his sword that he can rev like a motorcycle engine make this game a fun and uniques action-packed, demon-hunting adventure! This adrenaline-pumping video game is about survivors and the struggles they face every day: desperation, loss, madness, betrayal, friendship, brotherhood, regret, love – and most importantly. Through the hero’s journey, you will learn that hope never dies. Join the Mobius’ fastest hedgehog as he hits the racetrack (in a car… since he’d be too fast on foot)! This game is a new-age take on traditional arcade racing video games and the newest addition to the Sonic the Hedgehog legacy! It’s vibrant imagery and visuals combines with finely tuned fundamentals is sure to make this game worth playing this year! This enchanting game with hand-painted backdrops is a sequel to Ori and the Blind Forest, which was a wonderfully alluring game! It will take us back to Ori’s beautiful, treacherous world, introducing us new regions and creatures in the lush Nibel forest. Though Respawn Entertainment hasn’t released too much information yet, this is sure to be a classic, unforgettable Star Wars adventure! They have revealed that it will take place sometime between episodes 3 and 4, but the questions of who we will be playing as, what genre it will be, and if the infamous Darth Vader will show up all remain mysteries. Try Them All and More in an Epic GameTruck Video Game Party! 2019 is sure to be full of excitement and thrills! Kick it off the right way with an epic GameTruck video game party! Our trucks come equipped with all the consoles and games you’ll need to have the best party of the year! Contact us here to start planning your next video game birthday party, corporate event, church event, or family reunion! Each year, Thanksgiving seems to have recurring themes—football, eating, and napping. As exciting as these activities may be, there are plenty of other ways to keep your guests entertained. Change your holiday traditions by engaging in games with your family and friends this Thanksgiving. Whether they are classic board games or outdoor activities, family games are a great way to keep everyone occupied while the turkey is roasting in the oven. GameTruck is here to provide you with 5 of the best family games for Thanksgiving. Rather than getting worked up over a game on TV that is out of your control, set up a fun game of touch football between you and your house guests. Decide which way to divide your teams evenly; it can be anything from girls against guys or adults versus kids. Amp up the competition by making a bet—”losers have to clean the dishes!” Engaging in this kind of fun competition is a great way to get the family active. Burning calories before your Thanksgiving meal is also a great way to make room for all of the food you are about to intake! Keep it classic with a game of charades. Whether you choose to play individually or with teams, one player will act out a phrase, movie, character, or other action of their choice. The other team members must then guess what that individual is acting out. If you have trouble thinking of a topic to act out, download Charades!™ In the App Store or Google Play. This is an appropriate game for all ages that tends to be a family favorite. Pumpkin Roll is a family-friendly relay race that involves getting a pumpkin to the designated finish line. First, choose the size pumpkin you want. Once the pumpkin has been chosen, it just comes down to determining the space in which the relay will take place. On your mark, get set, go! Roll the pumpkin on its side, and let the fun begin! The great thing about this game is that there is no minimum or maximum number of players that can participate. Bingo is another classic game that most people are familiar with. Taking the traditional game of bingo and making it festive is simple. Download printable Thanksgiving bingo cards online, purchase them online, or get creative and make your own bingo cards. Use candy or markers to cover a square when it is called. Once you have 5 consecutive tiles going vertically, horizontally, or diagonally, make sure to call BINGO! From Monopoly to Scrabble, the options for family board games are endless. Board games typically take much longer than other activities, so they are great to play while you are recovering from a food coma. Find the best board games to play with families at locations such as Target, Walmart, or online through Amazon. 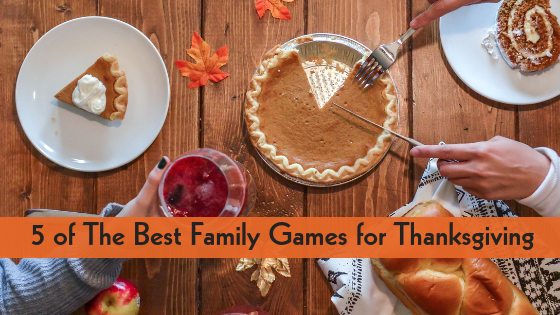 Still stuck on what games to bring to your family Thanksgiving party? Consider hiring Game Truck for your group festivities. Game Truck will bring the party to you with endless amounts of entertainment and a fully equipped truck full of games for the entire family. Contact us here or call us at (866) 253-3191.